Posted by Nick Verreos Labels: Lupita Nyong'o, Met Gala 2014, Prada, red carpet, Who Wore What? What is sure to be one of the most controversial dresses of the evening, Lupita arrived at the Costume Institute Met Gala wearing a custom Prada dress made of a beaded and feathered overdress. One thing is for sure: Lupita LOVES fashion and certainly looks like she is having a great time. If there is ever a night to take a "fashion risk", the Met Gala is the night to do it. 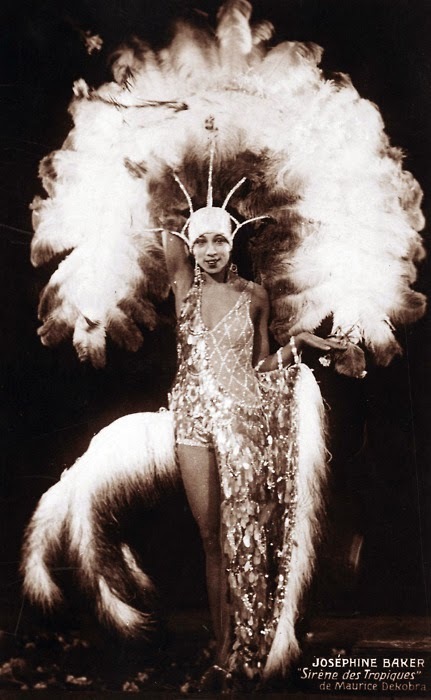 Lupita is clearly channeling and inspired by Josephine Baker. Maybe she didn't get the memo that this was a night honoring Charles James?! 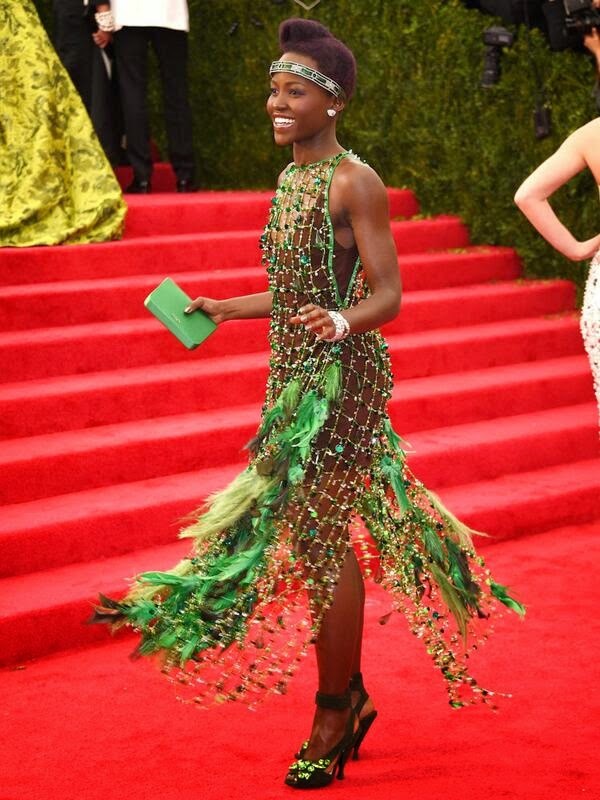 0 Response to "WHO WORE WHAT?.....MET Gala 2014: Lupita Nyong'o in Prada"